The findings have been reported to gardaí and the National Museum. 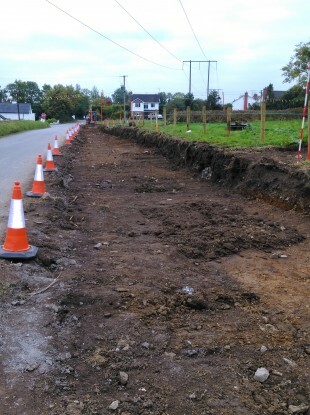 LEITRIM COUNTY COUNCIL has found archaeological remains while engaging in road works. A spokesperson for the council confirmed that “a number of archaeological finds including archaeological remains” have been discovered at a site in Attyrory, Carrick-on-Shannon. The road works are being carried out beside the Caldragh Ring. The spokesperson confirmed that an archaeologist was consulted before the work commenced. They would not elaborate on the type of material uncovered. The spokesperson added that the council is continuing to keep the matter under review. Email “Leitrim County Council finds 'archaeological remains' when digging up road”. Feedback on “Leitrim County Council finds 'archaeological remains' when digging up road”.